The main objective for the role is to ensure that our young athlete’s consisting of 12 players per team for both boys and girls have access to opportunity and support services they need to produce podium worthy performance. 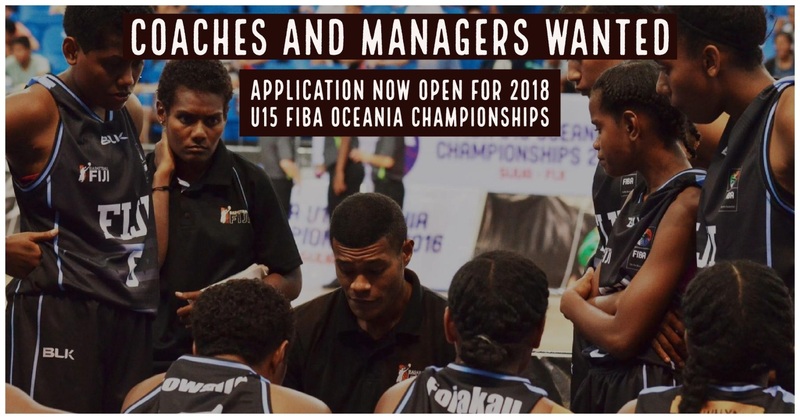 The position represents a unique and challenging chance to work with the whole Basketball Fiji team and our youths. 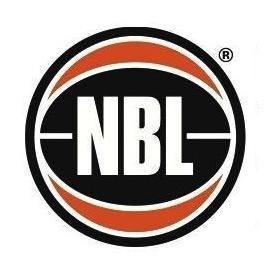 We are looking for people with experience in similar positions at a national level with preferably a good working knowledge of basketball, high level management skills, understand organization structure, excellent communication skills, willingness to work and a high level of patience. Willing to work with youth Under 15 team members for either the boys or girls team. Collect passports, copy of birth certificates and general player’s details. Coordinate all efforts to meet the needs of our young athletes, administrative teams and to avoid potential risk and before, during and after training and tournaments. Team Fiji management personnel serves on the understanding that the positions are voluntary. Implicit in the role is the rewards of enormous satisfaction gained through working with the youth, coaching staff and federation and chance to bring Fiji to compete and excel in world class stage. To be clear you are only applying for either the boy’s or girls’ team. 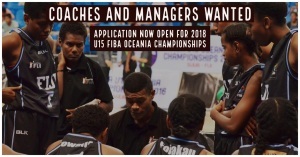 Application and CV should reach the COO of Basketball Fiji, Laisiasa Puamau (puamau@gmail.com) by no later than 5PM on Friday November 3rd 2017.